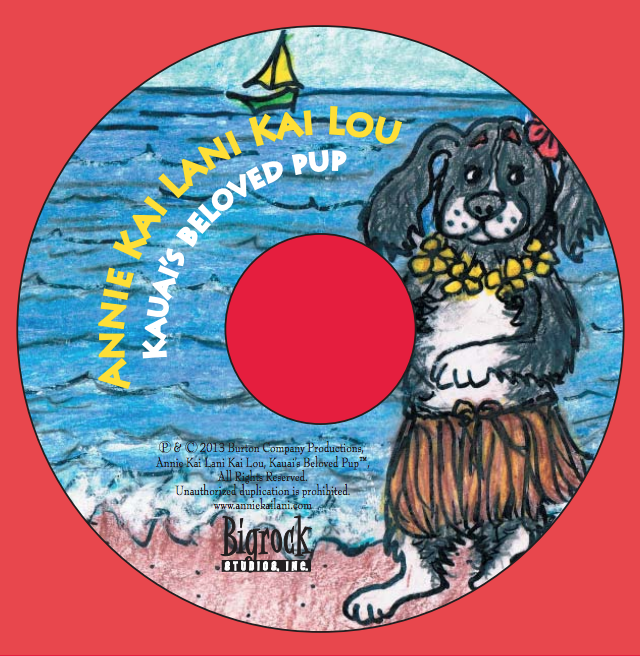 Kauai’s beloved pup features the island adventures of Annie Kai Lani Kai Lou — named in part after the famous Hawaiian queen and a word often associated with the sea and the sky. Annie’s island activities are as boundless as her energy—from zip-lining, to sailing, golfing, surfing—even dancing at a luau with a Shih Tzu! The book also includes a sing-a- long CD, featuring Bridget and capturing Hawaiian music in each of the ten verses. Children can enjoy singing each verse about Annie’s exploration, fun, and playful spirit! is a published author, business consultant and soft jazz recording artist who decided it was time to write a children’s sing-a-long book. 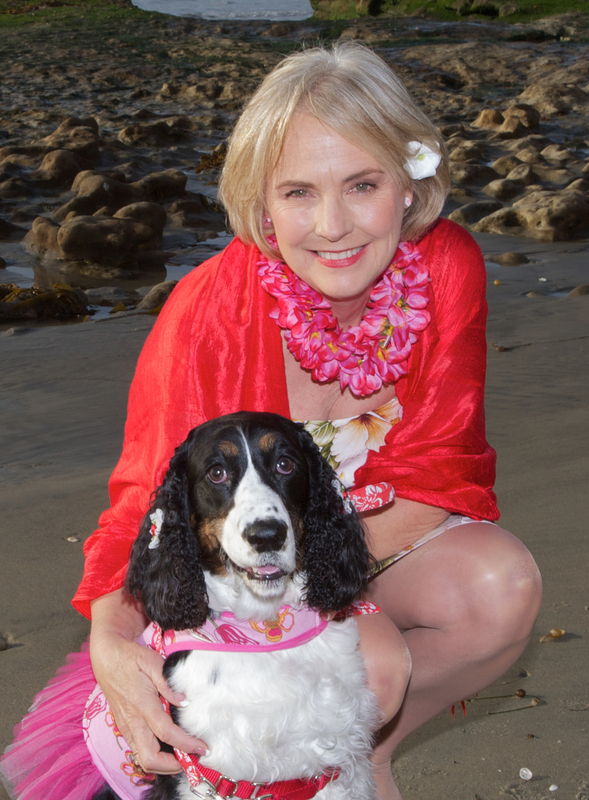 She was inspired by the boundless energy and shenanigans of her real English Springer Spaniel Annie and her love of the captivating garden isle of Kauai, Hawaii. Having visited Kauai on vacation, she decided to write about it from the dog’s perspective. Bridget lives in La Jolla, California with her husband Roy, their grown children Ryon & Kristina nearby, and, of course, Annie. You can now find Annie at Salty Dog Gallery in Fort Myers Beach, Florida! Follow us on social media for details about upcoming events. 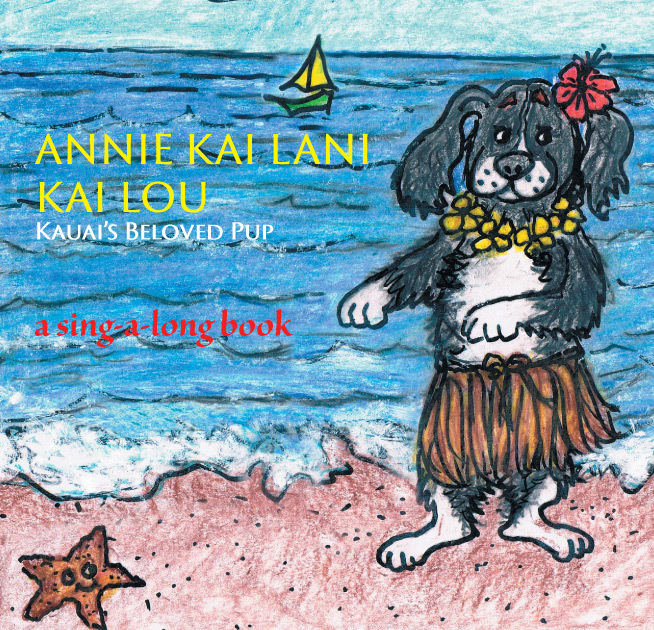 Buy Annie Kai Lani Kai Lou TODAY! Simply fill out your name and address and we’ll be in touch with ordering instructions.